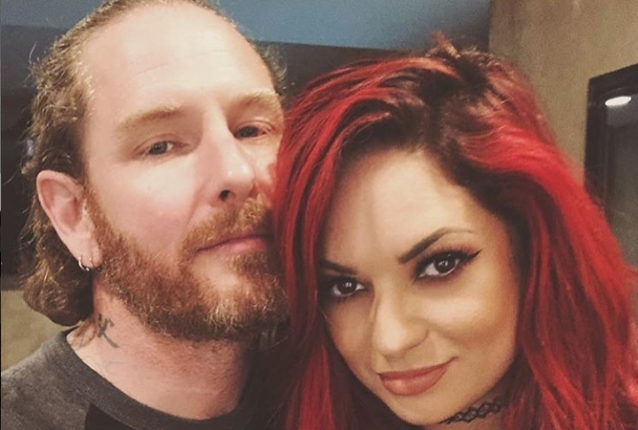 Corey Taylor's fiancée has thanked their fans and friends for their support, less than a week after she and the SLIPKNOT frontman announced their engagement on social media. Alicia Dove, who is a professional dancer and a member of the all-girl dance group CHERRY BOMBS, shared a new Instagram photo of the happy couple along with the following message: "Thank you to everyone who has sent well wishes! The support has been overwhelming, and we are so excited to start this new chapter of our lives. "Love is an insanely cool feeling, and everyone deserves to experience it in some form or another. I consider myself to be incredibly lucky to have found it in a strong, kind-natured, respectful, genuine, supportive, and loving man such as @coreytaylor. As silly and as cliche as it sounds, I didn't know what real, selfless love was until him. His artistry, intelligence, and heart knows no bounds. He is my hero. My inspiration. My safe place. "Thank you again. Your words are held close to our hearts in sincere gratitude." Taylor and Dove, who now share a home in Las Vegas, began dating after the breakup of Corey eight-year marriage with Stephanie Luby, whom he wedded in November 2009. Taylor was previously married from 2004 to 2007 to a woman named Scarlett, with whom he shares a son. The singer also has a daughter from an earlier relationship. SLIPKNOT revealed last month the dates and cities for its "Knotfest Roadshow" headlining tour. VOLBEAT, GOJIRA and BEHEMOTH will join as special guests on all dates. The 29-city outing kicks off on July 26 in Mountain View, California and continues through September 8 in The Woodlands, Texas. 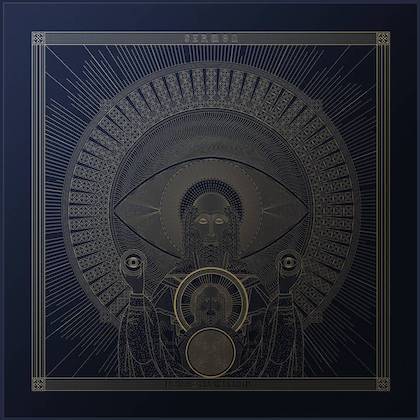 The trek will coincide with the release of the band's long-awaited sixth studio LP, which will arrive on August 9.